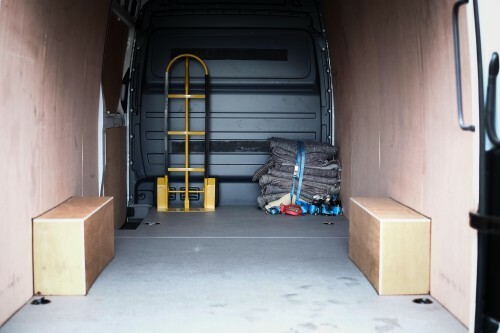 To make sure you get the best deal we'll show you great prices from all of our drivers, including Cherif A Removal Services, if they're available on the day of your move. Have a question for Cherif A Removal Services? No problem, send them a message and they'll email you back as soon as possible. If you have a more general question you might find it answered in the FAQ, or you always contact one of our brilliant customer service team. * Cherif A Removal Services won't be able to see your email address. 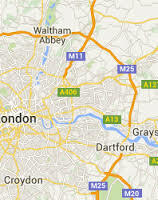 Hello, I am a van driver with 20 years of experience and I live in London (Dagenham). 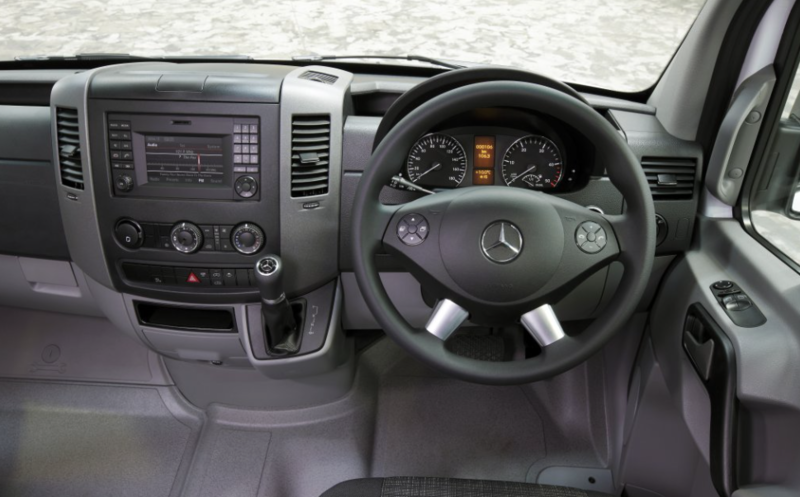 I have public liability insurance, motor insurance and goods in transit insurance. 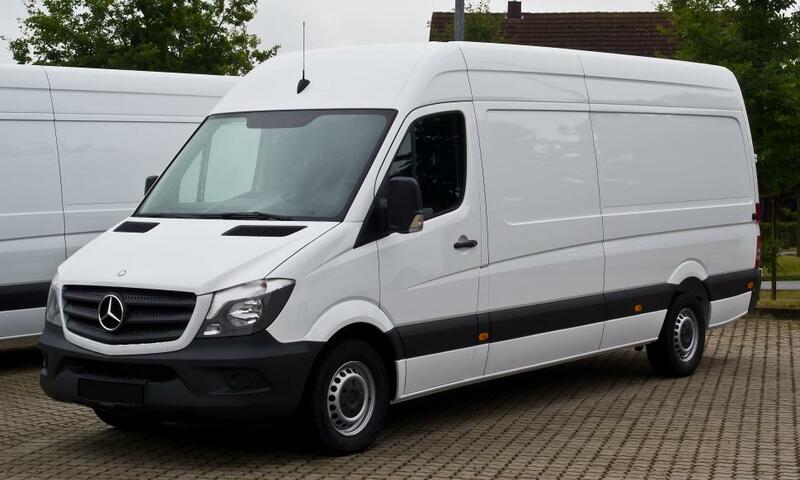 If you have any type of goods to deliver in London, I will be glad to do that job for you. I own a long Mercedes Benz van. - PLEASE REQUEST A CALL BACK. very patient with problem sofa. had tools required. Top driver, on time no problem with moving my belongings. Moved easily and with no delays. Very easy going person. Very lovely, kind and helpful! Will recommend him!!! Couldn't have asked for an easier, more efficient move. Would recommend. Handing womens underwear to us. Playing radio from his mobile and then acting upset when asked to turn it down. Continuing to break hard when asked not to due to expensive equipment in the van. Cherif is very good. The whole process is so quick and easy we didn't have time to chat. Thanks. Absolutely First Class in every way. Polite , Courteous and hard working nothing was too much trouble .We would certainly recommend to any one . Thank you so much. Cherif was fantastic - would recommend to anyone looking for a move! Amazing! The easiest move I've ever done. He was nice and quick. lovely guy who was a massive help, we could not have done it without his big van and muscles! Cherif was great - could not fault his work at all. The transport arrived 50 minutes late. For a 20 minute job we were charged for 1 hour and had to wait freezing at the appointment point for 1 hour. We paid £55 for the privilege. If there is a customer service concept, I expect someone would be in contact to organise a partial refund. Also, what about the receipt on completion promise? Is the email in the post? Cherif was a top man. He sent me a text that he was going to be 10 minutes late. He was very polite and helpful. Would recommend. Great service from this driver, highly recommended. Cherif was amazing will definitely use him again! The driver was so lovely! He arrived early and helped me with everything! Absolutely awesome removal experience! The best! He was very friendly and helpful! Little Dior he was very charming and helpful.. he was very good . Driver was on arrived 20 minutes early and provoded an excellent service. driver came 15 mins late but i was free so it didn’t matter. but very helpful and he had a trolley to move the boxes which was helpful and he helped take my furniture into the room. friendly and patient too. The driver arrived 15 minutes early (thankfully I was ready!) and the journey was finished quickly. Great service! Excellent service. He came exactly on time, was polite and helpful and careful with my things, and we completed the whole move (including loading from a 3rd floor flat and unloading) easily in 2 hours. Would definitely recommend and use him again. The best removal driver you could ever ask for!!!! Very helpful and kind!!!! I will recommend to use Cherif's removal services without any doubt!!! The move was very quick and smooth!!! A big thanks to Cherif for his service. Efficient and friendly service! Made the move a lot easier for me! Cherif was the best removal guy we have ever had! He made the moving process a lot less stressful with a big smile on his face. I would 100% recommend Cherif! Kind and helpful! 100% recommended! Thank you Sharif!!! Made the stress of moving very easy!! Cherif was great. He came early which was good for us and helped us moved from London to brighton very quickly. I would recommend him highly. Cherif was fantastic. Calm and understanding. Safe driver and fun to chat with. Cherif delivered an impeccable service! Super clean van. The man’s got banter. Really friendly. Helped so much with all the heavy lifting. We managed to get th job done in no time despite a disgustingly long walk from van to new flat. 100% would recommend! Very very nice driver, very helpful, 100% recommended. Superb service! I will be using This gentleman again in the future! Provided a very good service, more than happy with all aspects, lifting, packing into van, driving etc. Cherif is a hard worker and a super nice person! London and this guy is excellent on every level.. His second level of service is unparalleled. 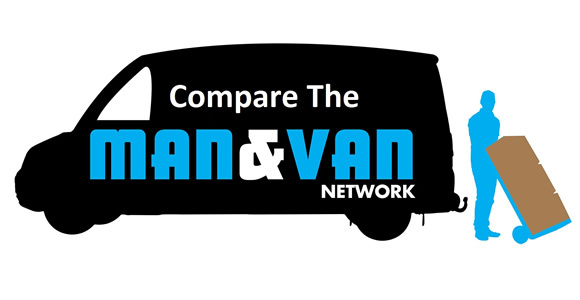 Will definetly recommend Compre the man and van to other people! Everything was perfect, done even quicker than I thought! I will recommend Amar! Punctual, capable, friendly and patient - great service :) Thanks for everything! Driver was very helpful and polite. Painless! Simple, Easy. Booked 10 hours before the trip. Driver was right on time, took care of everything and was very kind. Really good service and was all done very quickly, friendly and helpful driver. Poor English, it's sometimes hard to communicate. The driver did not have a good attitude. Seemed to complain a lot. Cherif was not only very courteous and helpful - he even spoke three languages! We both enjoyed working with him. On time, fiendly and super fast move! Good communication before the move, very helpful with loading/unloading, good driver and a nice guy. Super fantastic! Felt so supported and he packed amazingly . I had so much stuff but everything got packed very well . Would book him anytime again! Cherif was amazing and very fast at moving our furniture. With the help of my husband they had the whole move finished in 2.5 hours. Would definitely recommend using Cherif. My only concern is how little the guys actually earn from this service. I think they should and deserve to be paid more! All of our competitors charge at least 50% ​commission and ​some as ​h​igh as 70%​! In addition​,​ the drivers ​choose​ their own rates​,​ allowing them to ​set their own prices​​ on the site​. W​e ​are all ex-drivers here and we ​consider ourselves ​to be ​industry leaders ​in that we work to keep our commission as low as possible. Very satusfied with the service. The driver even came early and was happy to help me with loading and unloading the items to and from his van. The van was clean and very spacious. Overall I would give him & his van a 6 out of 5 stars ! Very happy with my experience, on time, professional and respectful. Thank you. All went like clockwork. Highly recommend this service. Couldn't have asked for a better removal guy. Big van and helped us immensely with our abundance of stuff to move. Thanks for the help Cherie! Brilliant man, so friendly and so helpful! Thank you! We were a bit worried initially as communication confirming the appointment was quite brief but all went well. Cherif arrived a bit early and helped us move all our things carefully. Cherif is very nice, very professional, he was here right on time and managed to fit of all of our stuff cleverly. He even gave us a ride back, thanks Cherif! We will call you again next time we need to move! Very professional, hard working, friendly, respectful and careful with my items. The best man and the van booking I've made. Good price as well. Thank you!!! Great driver, helped us a lot! Driver went above and beyond, despite being tired from a very long shift the day before. Recommended. He was absolutely great, helped load up the van in a safe a secure manner. Drove us safely across London then helped us unload again. Very quick and efficient, as well as polite. Highly recommend. Cherif was fantastic - cannot recommend him enough. Took great care with my fragile goods and packed everything securely. Very Good experience . HIGHLY recommend . Amar was absolutely fantastic. He worked so hard and made the whole move so smooth. I'm really grateful for his help! Really good driver. He arrived 30 min before time and was patience and understanding. He helped me to move all the furniture and even to put them inside the rooms. Everything went really well. He arrived very punctual. He was very careful and knew how to handle heavy and fragile items! We totally recomend it ! Excellent service and I wouldn't hesitate in recommending my man with a van to anyone. Really professional and I will use him again if I move house! Lovely, helpful and efficient driver. Would definitely recommend! Cherif was so helpful and did everything perfectly. Will definitely book him again next time. Our first time using man & van - Turned up 10 minutes early, did his best to accommodate us reversing into a driveway from a busy road and finished an hour early. Friendly, professional service and would recommend to anyone! Cherif is fantastic - he's a careful driver and really great packer. He arrived early and was willing to stay on later than originally expected. Would recommend to everyone! Everthing was great! He was very helpful, friendly and quick! Did the job asked of him fine with no fuss and had a good sense of humour! So helpful and friendly, and arrived early! I will be using him again he was fantastic! Cherif was great and really helpful! Cherif is reliable and professional. Definitely recommend his service. very courteous and helpful driver, a perfect job. Cherif was fantastic! Very friendly, very helpful, and quickly and efficiently took care of everything for us. Very efficient and helpful would recommend and use again. Thanks Cherif. Cherif was a pleasure to work with. Very careful with our fragile items too, including being especially careful over speed restriction bumps in the road. Much appreciated. Thank you. Cherif was brilliant! He was a few minutes early and is very efficient. We were done in no time. Plus he's a really nice guy, which is always a bonus! Excellent! I would recommend Amar to anyone, he was very friendly and efficient- a great guy! Thanks! He was absolutely brilliant. Amar made me and my flat mate smile on a day that was so stressful to start with. Big love to Amar, thank you! Made the move so simple! Couldn't recommend more! Couldn't have wished for a better driver. Cherif went above and beyond to ensure our move was as quick and stress free as possible. Thank you! Cannot say how impressed we are with the service Cherif and his son provided. They were professional, friendly, efficient and really hard working. Thanks Cherif for doing a great job and making our move seamless. Very punctual, reliable, friendly, relaxed and very helpful driver. Nothing to complain I would next time book him again. Speaks Italien, French and able to communicate in English. Cherif was amazing! My move was smooth and stress free. I was moving on my own and he helped me load and unload so everything was done very quick. I really recommend him to anyone. SO HAPPY I booked him. Arrived in good time and could not have been more helpful. Will definitely be using him again and would highly recommend. (First time booking a man/van and was somewhat apprehensive as one item was a cream sofa but need not have worried). Very efficient and helpful to load and unload my belongings both sides of the journey! Cherif Aman was excellent and courteous. Great job !! We were overwhelmed by the service. Thank you so much ???? Cherif took most of the stress out of the move. He is calm, cool and professional. Highly recommended. A fantastic service and he delivered much more than I was expecting (particularly given the reasonable price). He arrived on time, had straps and blankets to cover items and helped move the furniture/items from our flat into the van and then again at the other end. He 100% loaded the van, so everything was carefully packed. On top of this, he's a lovely bloke and very friendly and helpful. I would certainly recommend him to anyone. Omar was great. Very friendly and helpful. Helped us carry a heavy closet without any complaints. He texted us before he arrived and was great overall. The driver was great. Really helpful and efficient. The move was smooth and stress free and actually all finished almost an hour ahead of schedule. Massive thanks! Cherif was very helpful man. Highly recommeded. The service was very good. I was impressed with your prompt response when the driver was a little bit late. Very helpful and polite. I will definitely hire him again in the future. Cherif was very helpful, polite and chatty during the transit. I would definitely use his services again and recommend him to friends. The driver was amazing! So friendly and very good at his job. Thanks for the great service! Driver showed up a few minutes early, helped me load and unload everything (even up and down stairs) and got the whole move done very quickly and neatly. Highly recommended. Cherif Amar was spot on time if not slightly early, VERY helpfull and exactly what i asked for. Made a stressfull experience fast and efficient. Would use again. Thank you!! Our moving experience was quick, easy and very smooth! I appreciated our driver's professionalism and organization! Would definitely book again! Great service - friendly, efficient, extremely helpful. Would highly recommend. Sherrif was very efficient, helpful and kind. I highly recommend him if you are moving house. Cherif was great. Very friendly, helpful and careful. Would use again. Everything went well! Very happy with Cherif and so grateful for his help. Amar was amazing - very helpful and very efficient. Driver was helpful and courteous, I would use him again. Overall a good experience would probably use him again! Wonderfully efficient, the driver and his son were lovely and nothing was too much trouble. Highly recommend! Cherif was very good & very helpful, I would recommend him for your move & although it took a lot longer than anticipated he would have accepted the original quote if I had not offered him more in line with what was agreed. Kept his humour even though it was late. Absolutely amazing driver, went above and beyond wgat we expected. He was very helpful and quick. Best service! My driver arrived early and was very helpful and friendly. My move was completed earlier than I initially expected. Very pleased with the service. Cherif Amar Thank you so much !!!! You were so kind and humble in helping us. You came on time , helped us with heavy items. I would recommend his service to everyone. Excellent experience. Great guy, really relaxed and really helpful! Totally recommend! Was there before time and helped move the stuff. Recommended! Sharif was patient, on time, and brought a massive van with blankets to help us with our move. We safely move a large chair which barely fit our staircase and a heavy high-spec electric piano without damage to either the items or the property. We would definitely recommend the service. It may be worth getting in touch with Sharif if you need heavy items strapped up as we only had ropes on our move, but that was fine for us. Thank you again Sharif! I sent an email on Tuesday (31 Jan) to give you more specific details about where to pick up the scenery than I was able to give when I made the booking, and a contact number for the person on the site, but this information did not reach the driver. However, everything worked out OK.
CMV Response: On booking you receive an email confirmation which contains all of your driver's direct contact details so you are able to liaise with him regarding your move. very polite and chatty man. secure stuff well and looked after belongings! Driver Cherif has been very kind and helpful. Great service, very pleased. Would definitely use again. Very nice chap. The booking process was extremely efficient and we were very happy with our driver. Thank you for a stress free move! We will recommend your service to others :-) . He turned up early, was really careful with my stuff, fast at unpacking, really friendly. Will definitely use you again! Cherif was excellent, I recommend him highly. He arrived early and worked non-stop (helping with lifting heavy furniture too). I will definitely book him again next time round. Cherif was brilliant. So helpful and extremely hard working. Respect to him for doing such a tough job day in day out. Highly recommend him. Cherif was really nice and polite, made a lot of effort to help out efficiently with all of my things. His son was with him and helped, also really lovely and polite and we had a nice chat on the journey :) would definitely recommend, we were done about an hour quicker than I thought we would be! Cherif is the most relaxed, no quibbles guy you'll probably ever come across - I changed the destination 3 times, AFTER he had driven to 2of them, he didn't complain, he just got on with pleasing my indecisive mind! And, what a hard worker- he did the work of 2 men ALONE (I was let down by someone) and not once did he say anything, he just got on with it. Amazing man. I'm booking him again in a week, if he accepts after what I put him through! Lol... thanx so much Cherif, it's a pleasure to have come across your services, I can't recommend you enough! Amar is a really nice guy, very helpful and understanding. I would recommend him to anyone. Great driver, very professional. On time and he did the best job to deliver all my things. Very happy of the work. Couldn't have asked for more, excellent service . Thank you. Charif was very helpful, great attitude and very good service! Would highly recommend him! Yes, our man Cherif was amazing .... he went above and beyond what we expected or hoped for. Would recommend. First time I used Man&van. Booked Cherif because he had great reviews. He was great. lived up to the reviews. He couldn't have been more helpful, parked and just got on with the job in hand. We spoke french, italian and english on the drive. Would definitely use him again. Thank you. I would particularly like to feedback how very helpful the driver was. Nothing was too much trouble. He saw and volunteered all the help I could have wanted. Cherif and his dsughter worked amazingly well. They were kind, considerate and helped me move my stuff quickly. Would definitely use again. Their van had lots of space. As he was late he gave us a discount on the congestion charge. Overall satisfied. I was worried what this service would be like as it was a last minute booking and didn't know of anyone else that had used man and van before. My driver was absolutely fantastic and I highly recommend his services. Great service, very fast and careful. We had a great experience, he was friendly, helpful and on time. Couldnt have asked for a better person to help me with moving my life to a new place. Thanks again! Cherif was absolutely EXCELLENT. He helped to load all of my and my girlfriend's luggage out of the old place and into the new one. He had relentless energy and went above and beyond to get us moved in. On top of this he's a really friendly guy, and one of the most considerate drivers in London. Thanks, Cherif! The move was problem free and our driver was so lovely! He was extremely helpful and made sure that even our fragile goods were properly stored. He drove us out to the middle of nowhere to help us move. Thank you so much! Driver arrived in advance. Operations went smoothly and driver was very kind. Good and respectful driving, he also helped us at lot with loading the van. Will definitely book him again! Very helpful service and worked well with a large item that was tricky to get into a small space. Cherif was efficient, helpful and amazingly accommodating, full five stars! Excellent smooth efficient helpful service. Highly recommended. Cherish Amar was absolutely fabulous. I picked up an injury, so was unable to assist. He went well beyond the call of duty. Insofar as carrying my furniture up the stairs. Brilliant, professional and kind. Great guy, very efficient and friendly - we did the job much more quickly than I anticipated. Would definitely recommend him. Literally the nicest guy ever! So quick polite and patient 10/10! great guy, very efficient and friendly. The driver came even before established time. In the future I will be definately use the same company to move. The driver was on time and really helpful. He made my move go really smoothly and helped at any chance possible. I would highly recommend! Sharif is a great guy, works fast and very considerate. Would definitely use him again. These guys were amazing! We had loads of heavy and impractical things and awkward stairs and I could not have done it with out them! Can't recommend them enough and will use next time I move! Extremely please with the service. Would definitely recommended! Thank you so much. Amar Cherif was worth more than 5 stars. He was pleasant, friendly and really helpful. Next time I use your service can I request him please!!! What a wonderful experience! The driver was punctual, helpful and really friendly. It was such a pain-free move! The driver was really friendly and helpful and thats all i could ask for! Thank you for making my move stress free! Hopefully I won't have to move again for a long time but if I do, I know who to call! Seriously recommended! Really helpful and friendly- highly recommended! Cherif and his daughter Tutti were lovely and the move went smoothly in half the expected time! Very happy with the service. Absolutely fantastic, the move was quick and efficient. He did all the heavy lifting up flights of stairs and the service was brilliant. Great price too. Thank you! Very speedy and efficient. Called when they were 15 minutes away so I would know when to expect them and packed everything carefully and securely in the van. Highly recommend. Mr Amar was amazing. He turned up 20 minutes early and with a really useful little trolley for transporting boxes. He was incredibly helpful, especially as my boyfriend had hurt his back. Mr Amar helped get all of our possessions into a second floor flat with no lift, all with a smile on his face. Great service! The move was very efficient, much quicker than I expected. Cherif and his son were brilliant. They arrived in their large van and both worked really quickly and carefully, helping to load/unload all our stuff. Very fast, efficient and considerate movers. The price was great too. Thanks guys! Can't recommend them enough. Fantastic service and quick move. A lovely guy. Book him. The driver was very helpful - friendly, punctual, efficient and did all the heavy lifting, which made the move much easier. I would highly recommend him to anyone who wants great service at an affordable price! Large van, very helpful and polite. Exceed our expectations. We would definitely use Cherif again. Thanks.